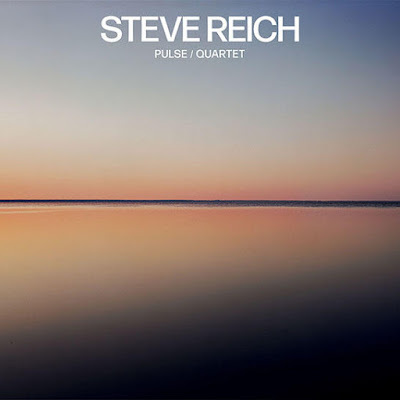 Steve Reich's Pulse / Quartet includes the world-premiere recordings of Pulse, performed by the International Contemporary Ensemble, and Quartet, played by the Colin Currie Group. 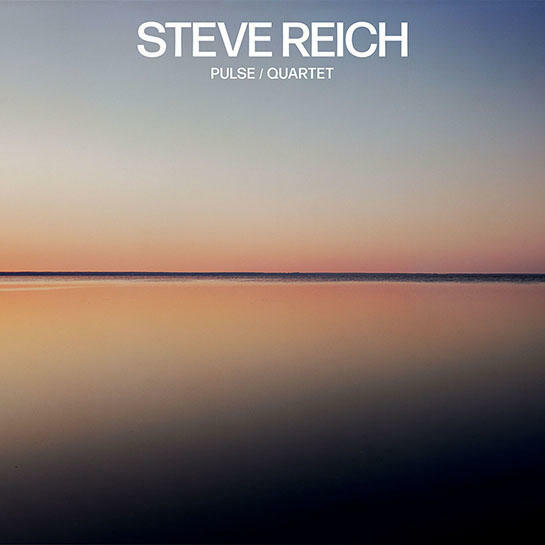 The Los Angeles Times notes the "lyricism, gorgeous instrumental textures and affecting harmonies" of Pulse, and the New York Times says of Quartet: "Written for two vibraphones and two pianos, Quartet is Mr. Reich's first piece for those two instruments alone, and the combination is ingenious and seductive, and deployed with subtle craftsmanship." The vinyl edition is due March 30. 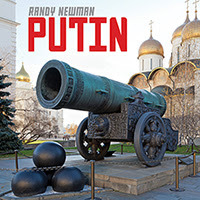 Congrats to Randy Newman, whose song "Putin," from his album Dark Matter, won the Grammy Award for Best Arrangement. "I'd like to thank the Recording Academy for this award," he says. "I worked hard on the arrangement and I'm proud of it. I appreciate the attention. Thank you. Please give me another one next year." 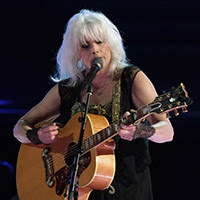 Emmylou Harris and Chris Stapleton shared the stage at the Grammy Awards ceremony on Sunday to offer a touching take on Tom Petty's "Wildflowers." 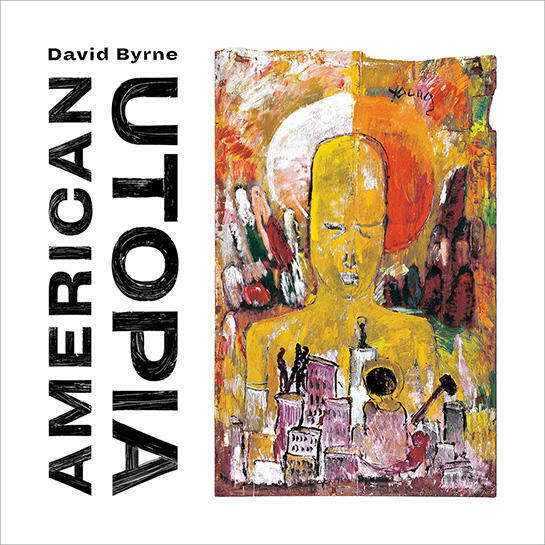 David Byrne co-hosted on BBC Radio 6 Music with Lauren Laverne and gave the first spin of a new track from his forthcoming album, American Utopia, "This Is That," a collaboration with Oneohtrix Point Never. 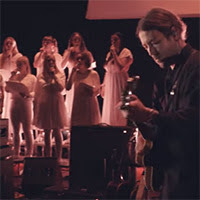 Fleet Foxes debuted a performance video of the title track to their album Crack-Up, accompanied by the Icelandic women's choir Graduale Nobili. The performance was filmed by Consequence of Sound at Harpa Concert Hall in Reykjavik. 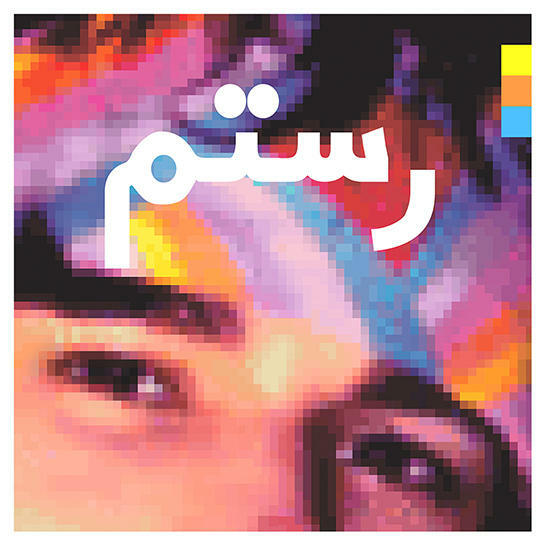 Rostam, who began a tour this week, has added new dates this spring, with shows in the US, Europe, and the UK. 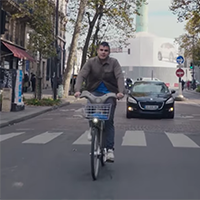 He has also released a video for "Bike Dream," from his album Half-Light, filmed in Paris, Berlin, and Copenhagen. 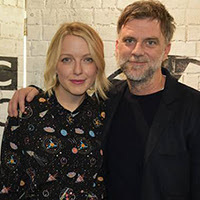 Paul Thomas Anderson joined BBC Radio 6 Music's Lauren Laverne to discuss his new film, Phantom Thread. "The best part of my day is waking up in the morning to new Jonny Greenwood emails with music," he says. "It's like Christmas morning every time." 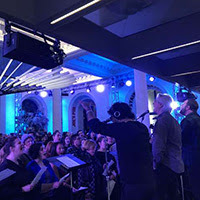 Watch: David Byrne Performs David Bowie's "Heroes" with Choir! Choir! Choir! David Byrne joined a group of strangers in the the lobby of NYC's Public Theater to sing David Bowie's "Heroes." Organized by Choir! Choir! Choir!, singers and non-singers alike were invited to take part, with Byrne singing lead. 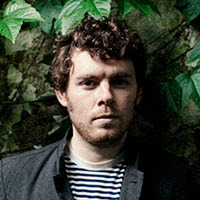 Nonesuch will release Gabriel Kahane's 8980: Book of Travelers later this year. The album's genesis began the day after the 2016 presidential election, when Kahane embarked on a looping, 8,980-mile railway journey through the US. Over two weeks, he broke bread with dozens of strangers whose stories were woven into a song cycle he premiered at BAM earlier this year. More details to come. 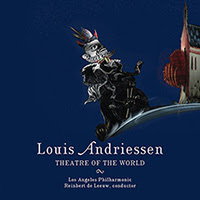 Louis Andriessen's Theatre of the World, recorded live during the LA Philharmonic's 2016 world premiere performances, has been nominated for the International Opera Award for Recording (Complete Opera) of the Year. "We are proud that French Quarter Fest is the largest showcase of Louisiana culture in the world," said Emily Madero, President & CEO of French Quarter Festivals, Inc. "This year, we are excited to introduce an enriched engagement opportunity for fans seeking a more curated festival experience. The NOLA.com Fest Family Experience will be the perfect outlet for many longtime fans to support the festival while enjoying a VIP experience, and we're thrilled to offer our attendees a new way to reconnect with family and friends or entertain clients at the Fest." Since 2014, NOLA Media Group has been a major media sponsor of French Quarter Festival and Satchmo SummerFest. "NOLA Media Group is proud to sponsor the 35th French Quarter Festival by offering a new inside experience to attendees", said Tim Williamson, President, NOLA Media Group. 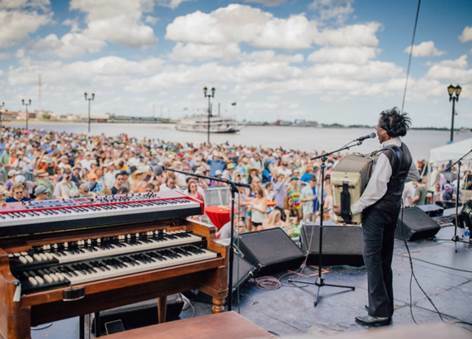 "Our partnership with French Quarter Festivals, Inc. is about connecting the community to the food, music and people that make New Orleans such a special place to live, work, and play." Membership to join the NOLA.com Fest Family Experience is $375 for a four-day pass. Click here for more information about the program. French Quarter Festival presented by Chevron is produced by French Quarter Festivals, Inc. (www.fqfi.org), the 501 (c) (3) nonprofit organization, which also produces Satchmo SummerFest presented by Chevron in August and Christmas New Orleans Style in December. French Quarter Festivals, Inc. promotes the Vieux Carré and the City of New Orleans through high quality special events and activities that showcase the culture and heritage of this unique city, contribute to the economic well-being of the community, and instill increased pride in the people of New Orleans.Visit www.fqfi.org or call (504) 522-5730 for more information about French Quarter Festival and other events produced by French Quarter Festivals, Inc. The CD Release Party for The Subject Tonight Is Love the debut recording of Kate McGarry, Keith Ganz, Gary Versace Trio. The Velvet Note - warm intimate atmosphere, celestial night sky overhead, delicious food. Atlanta taste maker Tamara Fuller has created a venue that we love. 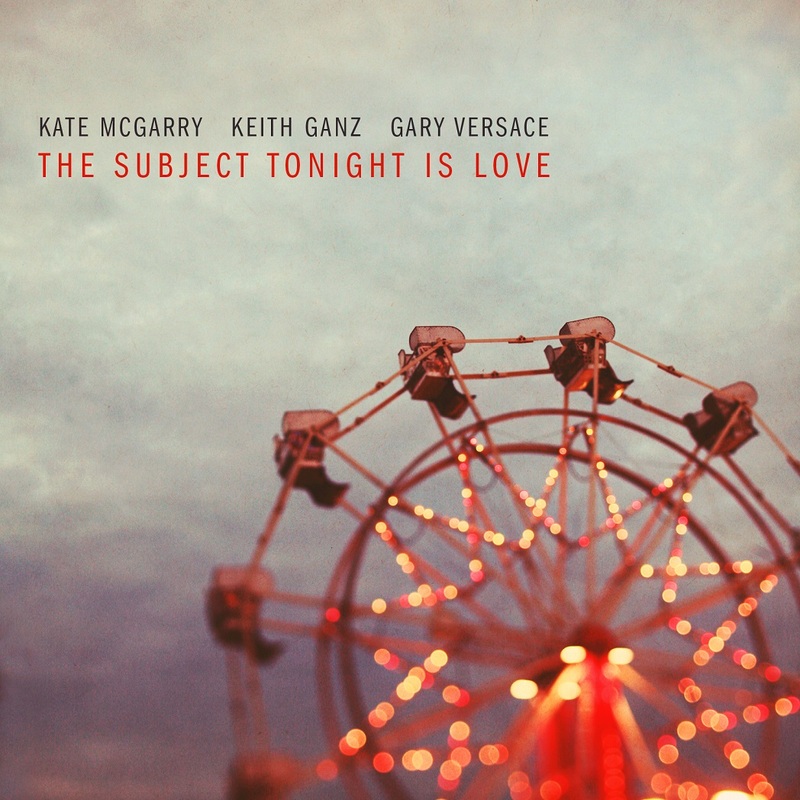 Come celebrate the release of the Kate McGarry Keith Ganz and Gary Versace Trio debut: The Subject Tonight Is Love. "The subject tonight is love," wrote Daniel Ladinsky the modern interpreter of Persian poet and mystic Hafiz back in the 14th century. "And for tomorrow night as well / As a matter of fact / I know of no better topic / For us to discuss / Until we all / Die!" Countless poets, philosophers, artists, musicians, writers and dreamers have taken up that same subject since Hafiz's day, but despite seven intervening centuries of exploration love continues to offer an inexhaustible supply of complexities and mysteries. On The Subject Tonight Is Love, their first album as a trio, vocalist Kate McGarry, guitarist/bassist Keith Ganz and keyboardist/accordionist Gary Versace rise to that eternal challenge, investigating the concept of love in its many forms and from several different perspectives over the course of a dozen alluring songs, from timeless folk tunes to transformed jazz standards, celebratory pop songs to evocative originals. Love is not only the subject but the very substance of this project. The Subject Tonight Is Love (due out February 2, 2018 via Binxtown Records) is the culmination of more than a decade of work and friendship. McGarry and Ganz are partners in life as well as in music, while Versace has been a close and frequent collaborator with both, dating back to McGarry's 2007 album The Target. In various combinations the three have worked together under each other's leadership, alongside drummer/composer John Hollenbeck and with the vocal supergroup MOSS. Only such longstanding relationships could lead to such free-ranging but sharply focused sounds as are captured on The Subject Tonight Is Love. 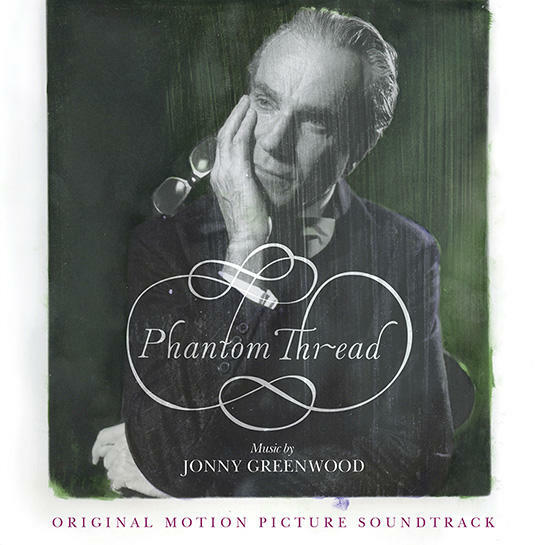 Beginning from McGarry's gift for bringing a lyric to life, the trio improvised cinematic settings for each song, painterly enough to conjure vivid imagery in the listener's mind while leaving space for their own spontaneous creations to shape each piece anew and allow an audience to make its own discoveries. Both Ganz and Versace pick up a variety of instruments throughout the session, with Ganz supplementing his acoustic and electric guitar with acoustic bass and, on one piece, drums, while Versace plays piano, keyboards, organ and accordion. McGarry also takes over the piano for her own "Losing Strategy #4." "Kate's music is very story-oriented," Ganz says. "There's a soundscape or mood that goes with each particular tune, so this trio offers an unusual situation where we're all improvising within a specific mood. With just Gary and me, it's easier to get a hold on the little world for each song and shape it or move it around in the moment each time we perform it." "I really appreciated that they were so receptive and sensitive to the origins of the stories behind the songs," McGarry adds. "That's always the driving force for me emotionally. Keith and Gary were able to be an extension of that, forwarding the narrative in instrumental ways. That's a rare thing." Another kind of love was an important factor in bringing The Subject Tonight Is Love to fruition - namely, the love of their fans for McGarry, Ganz and Versace. 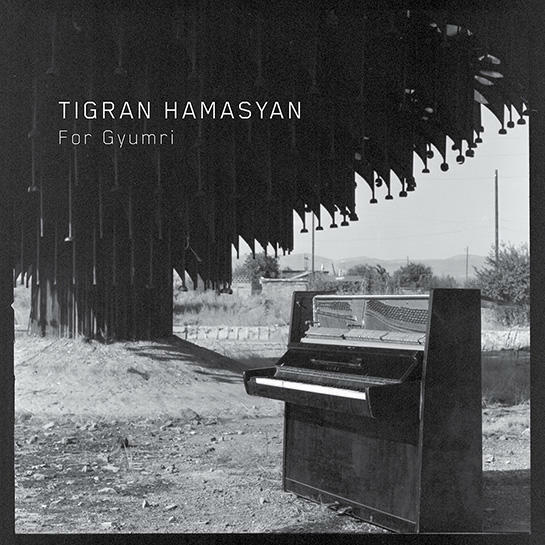 The project was supported by a PledgeMusic crowdfunding campaign, which permitted the trio to take their time to discover an approach to the music and record at a more leisurely, exploratory pace. "We wouldn't have had that kind of freedom in other circumstances," McGarry points out. "It was really beautiful to see so many people jump up to the plate and say, 'We want this music to get made and we're going to make sure that happens.'" The title piece, a stark, atmospheric recitation of the Hafiz poem, sets the elusive mood for the album, followed by a gentle, diaristic take on the classic "Secret Love" that captures the song's shift from the surreptitious to the celebratory. Their breezy, intimate "Gone With the Wind" meets the notion of lost love with a resigned, "easy come, easy go" shrug, while Ganz's hushed, intimate arrangement of "My Funny Valentine" is a perfect fit for McGarry's unique sincerity, overcoming a lifetime of resistance to what she rightly calls "this most abused of love songs." Joy pervades "What a Difference a Day Made," combined in a medley with Ganz's "Mr. Sparkle." While these familiar tunes span the spectrum of love songs, the remainder of the album steps back for an even broader interpretation of the core idea. McGarry's haunting "Climb Down" depicts a dream-like venture onto her own family tree, offering both a challenge and an expression of gratitude to the spirits of her forebears. The Irish folk tune "Whiskey You're the Devil," with Obed Calvaire making a guest appearance on drums, emerges at the end like an ancestral memory. Co-written by Benny Golson and Kenny Dorham, "Fair Weather" is an expression of brotherly love sorely-needed in these most divisive of times, while "Indian Summer" is saturated with the wistfulness of time gone by. Egberto Gismonti's carnivalesque "Playing Palhaço," with new lyrics by singer Jo Lawry, finds love peeling back the layers of masquerade we tend to hide ourselves beneath. McGarry's confessional "Losing Strategy #4," with Versace's expressive accordion supplying the voice of conscience, is a reckoning with the notion of retaliation, coming to terms with the fact that vengeance tends to backfire on oneself. 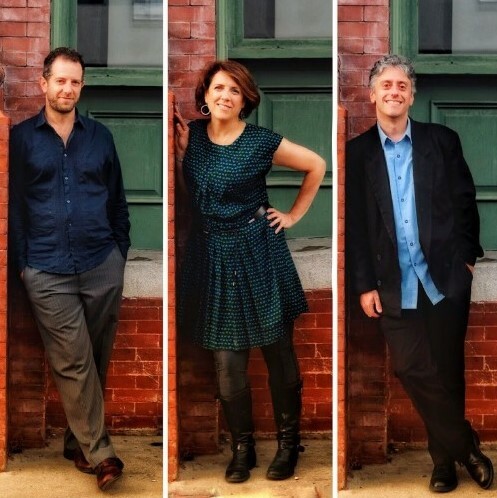 "She Always Will" finds the trio revisiting a song, with music penned by guitarist Steve Cardenas, that the three originally recorded a decade earlier on The Target, now deepened and reflecting on the idea of maternal love. Finally, an impromptu romp through The Beatles' "All You Need Is Love" provides an inviting epilogue, with a guest appearance by trumpet great Ron Miles to enhance the all-embracing message. "Love is the substratum of all things," McGarry says. "I wanted to look at love from a lot of different angles. 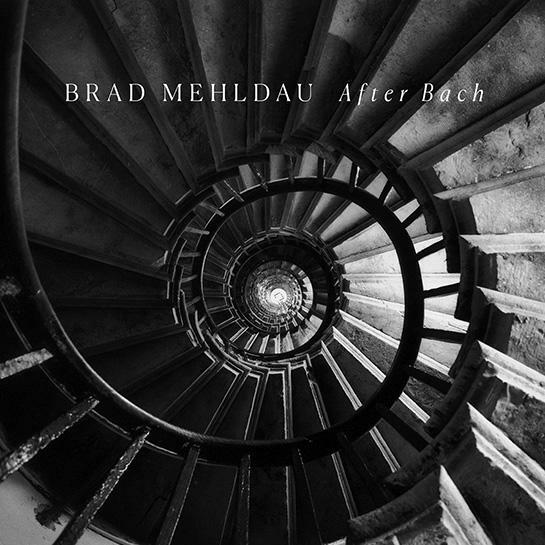 The point wasn't to sing about some idyllic love; it was more thinking about how love functions in our lives. What brings it to us? What keeps us from it? What helps us connect with it inside ourselves? What helps us connect to humanity? Having that current flowing through everything really affected the way we played." 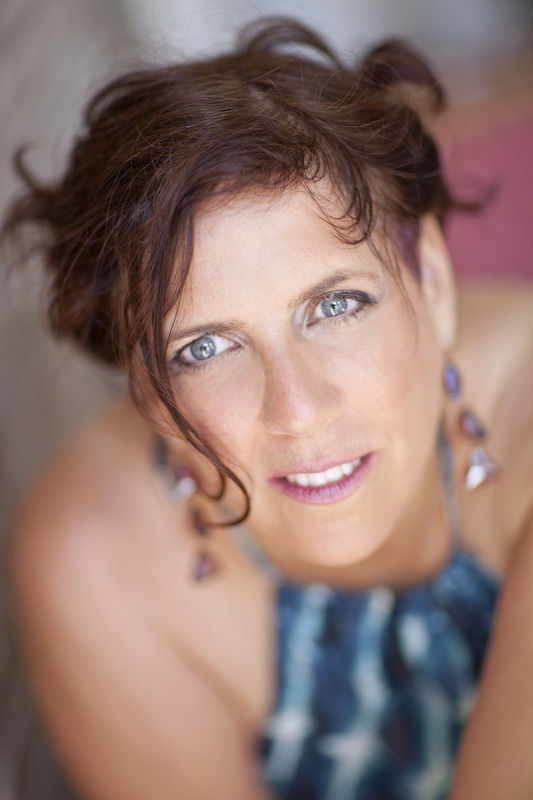 With 7 critically acclaimed CDs and a Grammy nomination for Best Jazz Vocal CD, Kate McGarry has become recognized as a jazz artist who brings authenticity and vitality to every song regardless of genre. The Wall St. Journal calls her music "austere and elegant," while the New York Times pronounced it "astute and sensitive." McGarry's 2012 CD Girl Talk (Palmetto), a tribute to her favorite visionary jazz women vocalists, garnered 4 stars in DownBeat Magazine and showed up on over 20 Best of 2012 jazz critic's lists. Her 2013 collaboration with the John Hollenbeck Large Ensemble, Songs I Like A Lot (Sunnyside), was lauded as a milestone in contemporary vocal jazz. In 2014 McGarry and her husband, guitarist Keith Ganz, celebrated 10 years of musical and life partnership with their first live duo recording, Genevieve and Ferdinand (Sunnyside). As an educator she has taught at New England Conservatory and currently serves on the faculty of Manhattan School of Music. Keith Ganz is a guitarist, composer and arranger known for his unique blend of heartfelt acoustic guitar fingerpicking and adventurous jazz improvisation. 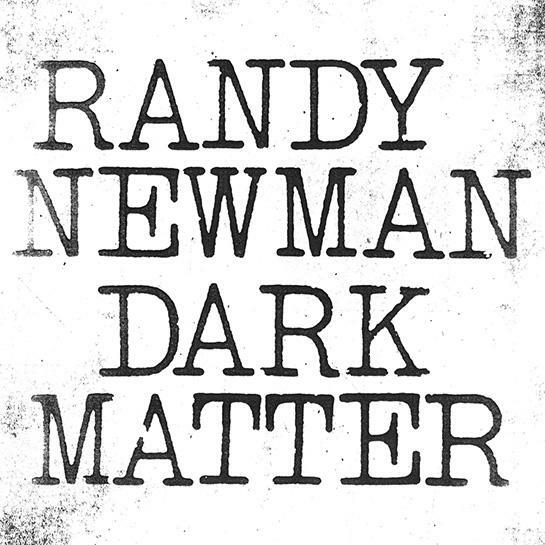 He is also the producer of five critically acclaimed albums with vocalist Kate McGarry, including the Grammy-nominated If Less is More...Nothing is Everything (Palmetto). A celebrated accompanist, Ganz has been the guitarist of choice for Harry Connick Jr., Kurt Elling, Luciana Souza, Gretchen Parlato and many other acclaimed jazz vocalists. He has also performed and/or recorded with a host of jazz legends including Christian McBride, Fred Hersch, Victor Lewis, Chris Potter, and Andy Bey. He has performed on Late Night with David Letterman, The Oprah Winfrey Show, Ellen, The View and Australian Idol. Since arriving in NYC in 2002, jazz pianist, organist and accordionist Gary Versace has become one of the busiest and most versatile musicians on the scene, often featured in bands led by musicians such as John Scofield, John Abercrombie, Al Foster, Regina Carter, Maria Schneider, Madeleine Peyroux, Matt Wilson, Joe Magnarelli, Andy LaVerne, Adam Nussbaum, Brad Shepik, Ingrid Jensen and many others. Versace's recent CD releases include appearances as pianist on Ralph Alessi's Quiver (ECM), which received 4.5 stars in DownBeat; as accordionist on Maria Schneider's Grammy-winning The Thompson Fields (ArtistShare); as Hammond organist on Ellery Eskelin's Trio Willisau: Live (hatOLOGY) and Rich Perry's Organique (SteepleChase); and on all three instruments on Kurt Elling's Passion World (Concord). "[Kevin] Sun is... clearly a player who sees the big picture and his evolving place within it." It's something of a cliché - though no less true for it - for gifted musicians to proclaim themselves to be perpetual students, their accomplishments achieved in part through a lifelong appetite for learning and new experiences. While still in the early stages of an incredibly promising, already impressive career, saxophonist Kevin Sun has more then taken that idea to heart. A tireless student of the jazz tradition, Sun has dedicated himself to dissecting the music of his forebears with a scientific precision, only to reassemble the pieces in new ways as only the most instinctual of artists can do. On his first album under his own name, Trio, Sun puts the results of his intensive studies into thrilling practice, crafting era-spanning compositions that are as propulsive and swinging as they are intricate and challenging. The titular trio teams Sun, on tenor as well as clarinet and the rarely-seen C-melody saxophone, with bassist Walter Stinson and drummer Matt Honor, two peers from the contemporary New York City jazz scene. Trio, set for release February 2, 2018 on Sun's own Endectomorph Music, follows equally adventurous releases by two collective quartets, Great on Paper (with drummer Robin Baytas, bassist Simón Willson and pianist Isaac Wilson) and Earprint (with Simón Willson, trumpeter Tree Palmedo and drummer Dor Herskovits). Here, though, the vision is entirely Sun's, though his complex writing leaves Stinson and Honor ample opportunity to show off their estimable skills. "Composing for three voices, I feel like I can really challenge myself," Sun says. "There's plenty of room to make something happen when you have three musicians interacting with each other. I picture it as a triangle versus a square: it's still very sturdy, but you have to give it a point." There's no lack of sharp edges on Trio's dozen jaw-dropping compositions (supplemented by a pair of fiery free improvisations captured in the wee hours of an all-day recording session). While to the listener these songs offer knotty melodic lines and shape-shifting rhythms that are tricky but enticing to navigate, for Sun, each one posed a unique challenge. Captivated by the higher-order writing of modern jazz innovators like Steve Coleman, Vijay Iyer, and Steve Lehman, Sun conceived of the music on Trio as a way of summoning similarly advanced music from his own pen. The trio itself, with Stinson and Honor, was originally assembled to workshop that music - it was only when they realized the chemistry they shared together that it evolved into a working group. "I was thinking of people who I thought would be willing to get together a lot and really dig into the music," Sun says. He had shared bandstands in the past with both Stinson and Honor, and soon found that both shared his own enthusiasm for plumbing the depths of his compositions. That scholarly approach has served Sun well, both in his education at Harvard College and New England Conservatory, in his studies with master composers Miguel Zenón and John Hollenbeck, and beyond, in his own research. He's been noted for his solo transcriptions, having published more than 120 on his blog by the likes of John Coltrane, Steve Coleman, Joe Henderson, Clifford Brown, and Vijay Iyer. "I work on inhabiting the sound, the beat, and the vibe of the musicians I transcribe," Sun says, a practice he learned from Zenón as well as tenor saxophonist Mark Turner. "Coming from an oral tradition like jazz, you want to be able to communicate the details that convey the feeling that comes out of the great playing of those musicians. Ideally you'd get that in person, but when many of them are no longer around, the next best thing is to listen to, say, Lester Young recordings and try to generate the same excitement." Beyond simply striving for the sound of such masters, Sun has recently begun to delve into emulating their gear. He recorded Trio with an instrument almost identical to that played by Lester Young on his classic recordings with Count Basie - a gold-plated Conn New Wonder sax and an early metal Otto Link mouthpiece. He began to experiment with the C-melody for a similar reason, as the instrument as played by virtuoso Frankie Trumbauer was a not insignificant influence on Young's sound. Though the ensuing sound links him to a tradition that weaves circuitously from Young through more modernist players like Lee Konitz and Warne Marsh, Sun's voice is wholly his own. 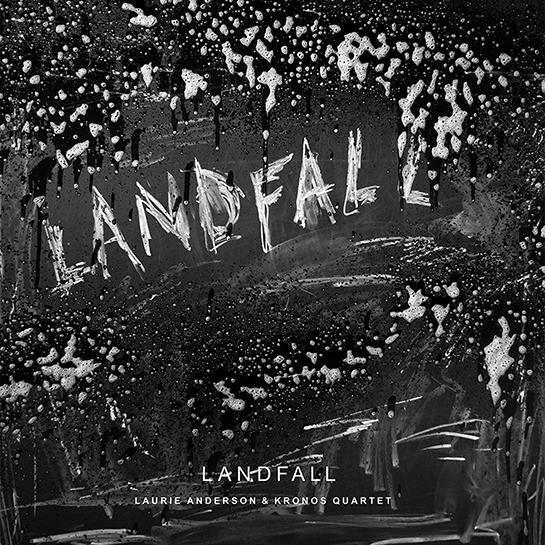 That's evident from the breathy, insistent notes that open "Transaccidentation," a piece that takes fragments of harmonic ideas from Charlie Parker's "Confirmation." Bird is also an inspiration behind the drum chant of "Find Your Pose" as well as "Air Purifier," a play on Parker's "Air Conditioning" that also pays homage to the modern appliance crucial to living in Beijing, China, where Sun spends time each year when not in his Brooklyn home. Sun's supple clarinet can be heard on the mysterious "Loading Screen" and the elegiac "Deliver the Keys." The C-melody comes to the fore on the album's sole standard, "All of Me," which most clearly shows how Sun has reimagined Lester Young's sound in a 21st-century context, and on the first of the two completely improvised tracks - "One Never Knows Now" and "Does One, Now Does One, Now Does" - which take their curious titles from a story by the late David Foster Wallace. The taut, wiry "Three Ravens" was originally written as an etude, while "Bittergreen" is a negative reharmonization of "Sweet Georgia Brown." The waltz is abstracted on "Ballroom Dancing," the brutal "Misanthrope" delivers heavy metal intensity, and "Announcements" offers an unconventional setting for every concert's obligatory band introductions. Finally, "Thunder" ends the album on a starkly expressive note. 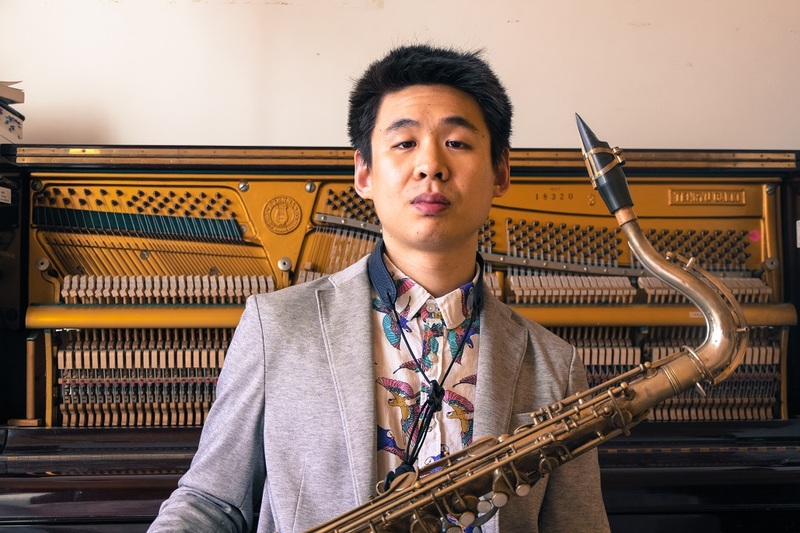 A saxophonist, improviser, composer, and blogger, Kevin Sun has studied composition with Miguel Zenón and John Hollenbeck, and cites contemporary composers such as Steve Coleman, Vijay Iyer, Miles Okazaki, Henry Threadgill, Steve Lehman, and Mark Turner as key influences. Currently based out of Brooklyn, New York, Sun performs with the collective quartets Great On Paper and Earprint and has shared the stage with Vijay Iyer, James Moody, Kenny Burrell, Dave Liebman, and Rich Perry, among others. He is an active contributor to Jazz Speaks, the official blog of The Jazz Gallery, where he has conducted interviews with artists such as Herbie Hancock and Joshua Redman. His blog on jazz and literature, A Horizontal Search, has been recognized by National Public Radio's A Blog Supreme and Ethan Iverson's Do the Math. 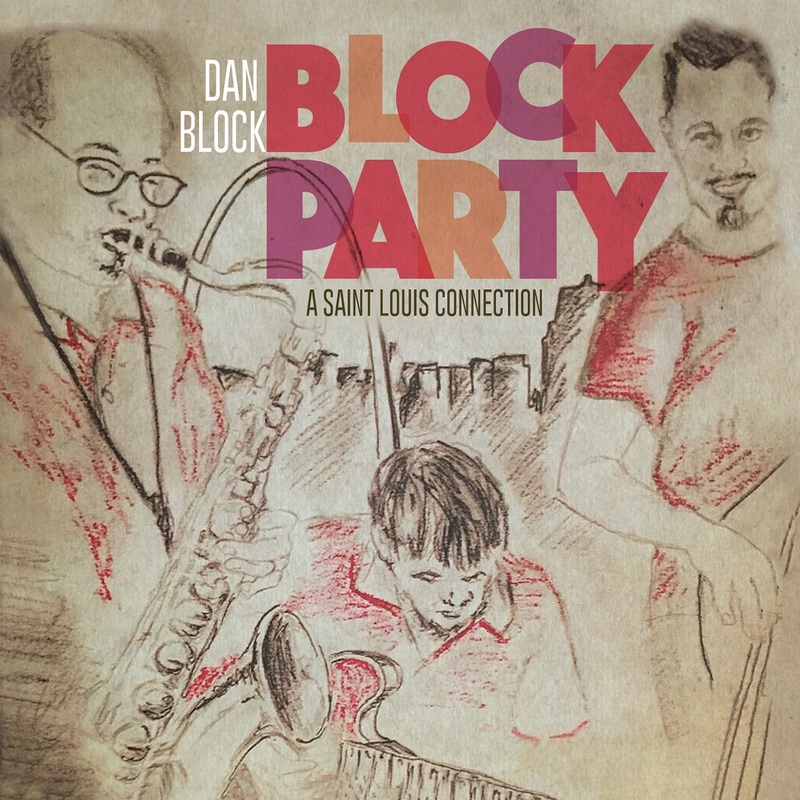 Saxophonist/clarinetist Dan Block's festive "Block Party"
Shut down the streets, it’s time for a Block Party! 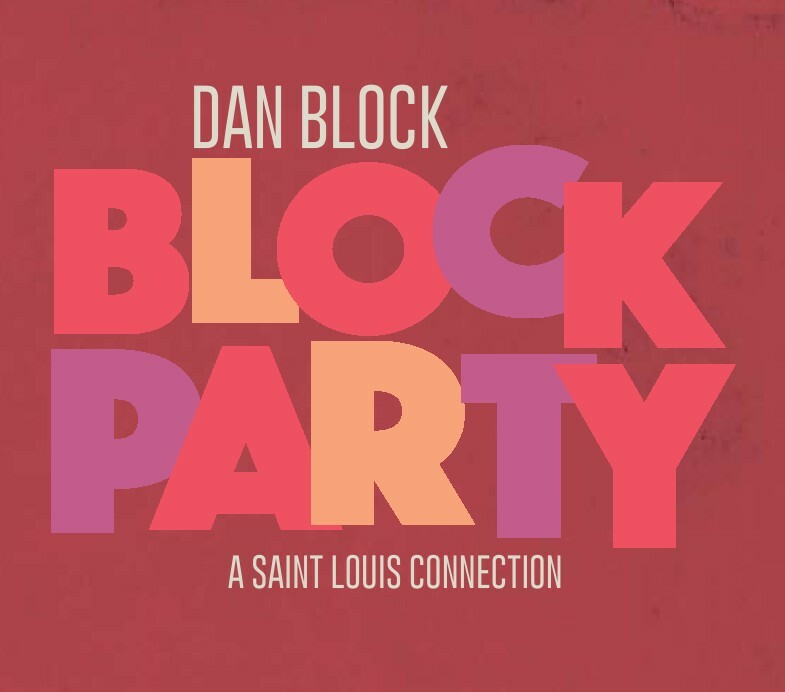 The latest album from saxophonist and clarinetist Dan Block is a joyous event fully in keeping with the warm spirit of its namesake: a time to join together with other families, meet with your neighbors, and enjoy a timeless tradition. 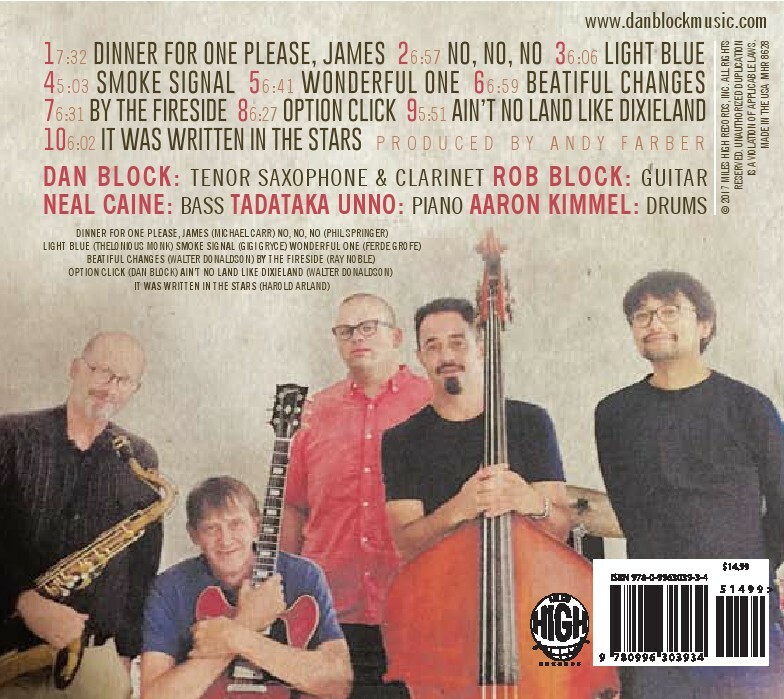 In this case, the tradition spans several generations of jazz, the neighbors are fellow transplants from Block’s native St. Louis to the jazz mecca of New York City, and the family is, well, family – in this case, brother and guitarist Rob Block. Block Party (due out January 19 from Miles High Records) is, at heart, a celebration of the Block siblings, recording together for the first time in their lives. Their collaboration shows off an easy camaraderie laced with a fiery competitive spark natural to brothers. 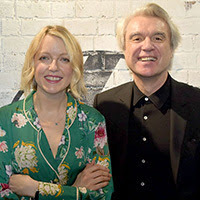 The pair combine with the kind of unspoken communication that can only come from shared roots, qualities that many musicians spend decades working together to achieve but which comes naturally from two artists who’ve grown up in the same household. Sharing a bloodline with your sidemen is a rare opportunity, but sharing a hometown may be the next best thing. That explains why St. Louis native Neal Caine provides such a strong backbone for the band; best known as the longtime bassist for Harry Connick Jr.’s band, Caine’s path paralleled Rob Block’s, detouring through New Orleans on the way to New York City. Tokyo-born pianist Tadataka Unno and in demand drummer Aaron Kimmel don’t share those same roots but they do have a common sensibility, one that doesn’t get hung up on one era or style of jazz. “We’re all conversant in the whole history of the music,” Block declares, an attitude that has endeared him to the similarly all-embracing Wynton Marsalis, with whom he performs regularly in the Jazz at Lincoln Center Orchestra. Block feels comfortable expressing himself in traditional Dixieland jazz bands as well as bop, modal jazz and beyond. That wide scope is reflected in the repertoire on Block Party, which draws from several decades’ worth of source material while maintaining a cohesive sound. Block wields the clarinet for a wistful, relaxed take on the Thelonious Monk classic “Light Blue,” but the pace picks up via Kimmel’s propulsive beat for Gigi Gryce’s “Smoke Signal,” highlighted by some delightful back and forth between the brothers Block. The pace is maintained for an update of composer Ferde Grofe’s “Wonderful One,” originally recorded in the 1920s by the Paul Whiteman Orchestra but gien a several-decade refresh in Block’s bristling arrangement. Block also dips back into the early decades of the 20th century for two Walter Donaldson compositions, both of which were recorded by one of the saxophonist’s most powerful influences, legendary corentist Bix Beiderbecke. The first, “Beautiful Changes,” is transformed into a time-shifting burner that sounds more like something found on a mid-60s Impulse! LP than an antique 78. “Ain’t No Land Like Dixieland,” on the other hand, retains a sense of burnished nostalgia without forsaking its modern pulse. All of these choices highlight the fact that Block finds inspiration from throughout the jazz timeline, recognizing fertile ground for exploration regardless of how long it’s been abandoned. You can go home again, if the warm and wonderful sounds captured herein are to be believed. And when you do, hope to be received with a celebration as lively and lyrical as Block Party. 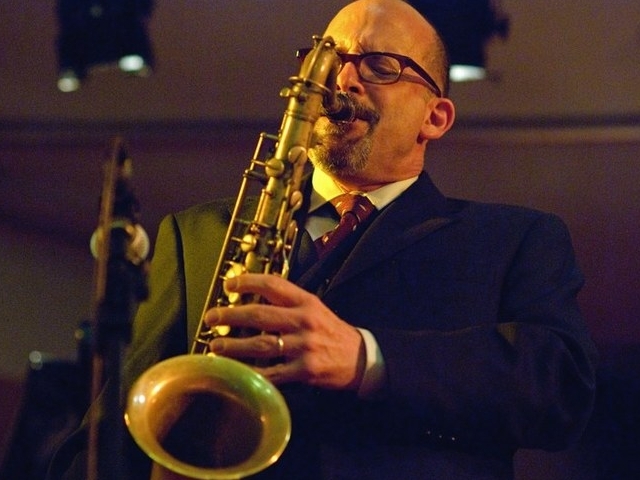 Saxophonist/clarinetist Dan Block has a dual reputation in the jazz world: he is well-regarded mainstream player, yet is best known as a specialist in traditional jazz. He’s a diverse talent, fitting like a chameleon into a host of musical genres on a variety of instruments. He has worked as a sideman with Toshiko Akiyoshi, Frank Wess, Richard Wyands, Wynton Marsalis and the Lincoln Center Jazz Orchestra, Harry Allen, Jerry Dodgion and Howard Alden. In the more traditional jazz vein he has worked frequently with Vince Giordano, Marty Grosz and Judy Carmichael. Quite a bit of his work has been with singers, performing and recording with the likes of Michael Feinstein, Natalie Cole, Anne Hampton Calloway, Bobby Short, Linda Ronstadt and Rosemary Clooney. Block’s clarinet and saxophone have been heard in a number of motion pictures including The Aviator, The Good Shepherd, Revolutionary Road and most recently the critically acclaimed HBO series Boardwalk Empire. He has also played on countless radio and television commercials. 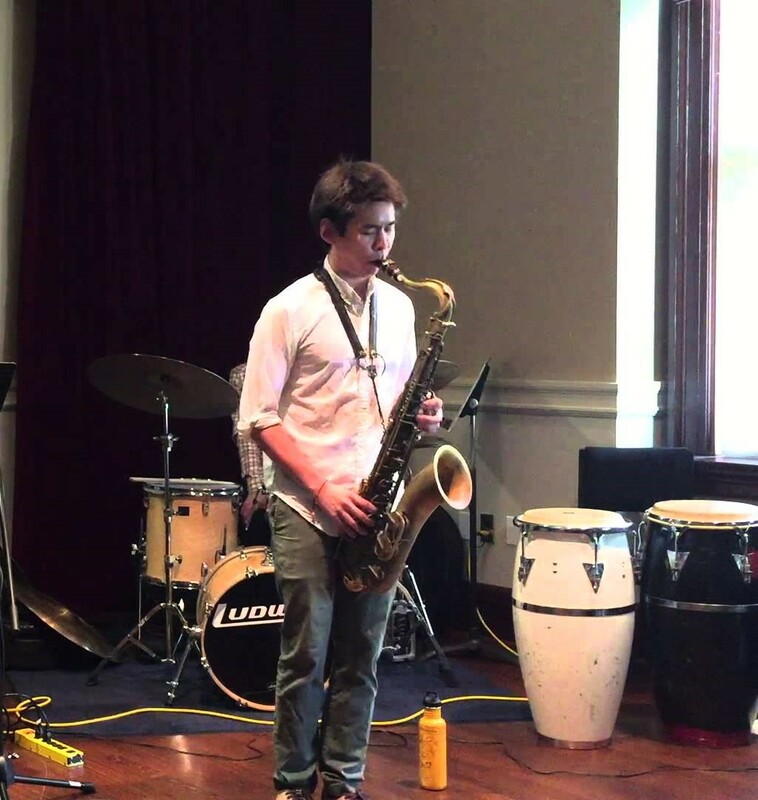 He won the 2016 Charlie Parker Award as part of the BMI Jazz Composer’s Workshop. Block has recorded numerous CDs including his most recent, the Duke Ellington tribute From His World To Mine and the duo project Duality, both on Miles High. Dan Block has the kind of musical focus that onlycomes with real experience. Classically trained at Juilliard, he has played nearly every style and genre of music from Salsa to Caribbean to, Klezmer, which have all come together to form a unique sound: his own.